What are the roads with the best views in the UK? It’s a question that always causes a lot of debate in the ABR office. For some of us, the joy of riding the dramatic north coast of Cornwall wins every time. For others, a journey through the haunting beauty of Scotland’s Glen Coe ranks top of the pile. And then there’s the Peak District, Dartmoor, the Brecon Beacons, the Lake District – the list is seemingly endless and you could wear through plenty of sets of tyres exploring them all. To help provide some inspiration, we’ve teamed up with tyre manufacturer Pirelli to bring you our pick of the most scenic roads in Britain. We hope you get the chance to ride some, if not all of these routes over the coming year. We guarantee they’ll put a smile on your face. Throughout life we all experience certain events that have a lasting impression on us, and similarly, I’m sure we all ride certain roads that touch us in the same way that a beautifully composed music score would. The A39, in particular the section between Porlock and Lynton, is, for me, one of those roads. Riding east to west, to your left you have the majesty of Exmoor, with beautifully remote hills rolling away to the distance and surprisingly deep valleys running from the side of the road, and to the right you have the old, weathered and enchanting cliffs of the Heritage Coast dropping into the choppy Bristol Channel. In peak season, this road doesn’t hold half the charm that it does in the quieter months, and as we’re entering Autumn and the roads are getting less busy, you’ll be able to enjoy the marvellous sweeping bends almost to yourself. 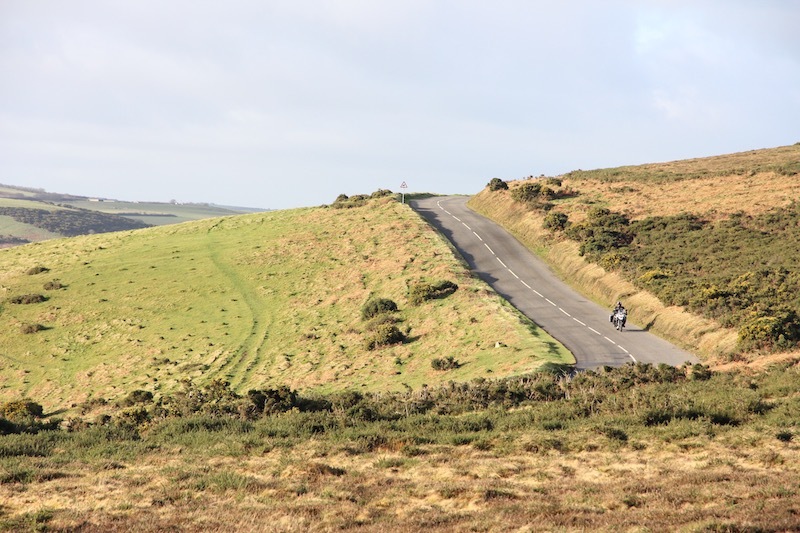 As you rise out of Porlock you tackle the UK’s steepest section of A road, Porlock Hill, which has a gradient of 25% in places, and from here you ride a marvellous stretch of tarmac all the way to Countisbury Hill, where the descent into Lynmouth is sublime. In my 26 short years on Earth I’ve been fortunate enough to travel extensively around the world, and as I harbour such an appreciation for natural beauty I’ve often sought out the most beautiful areas in the places I visit. So much so, that on a recent trip to the US, I almost missed my flight out of LA because I just had to take a 500-mile detour to see Yosemite. While I was sitting at Glacier Point, admiring the undoubted beauty of El Capitan and Half Dome, I couldn’t help but think to myself ‘it’s bloody lovely, but it’s no Glen Coe’. I could honestly spend a good few days sitting in a deck chair and staring at the eastern entrance to Glen Coe. 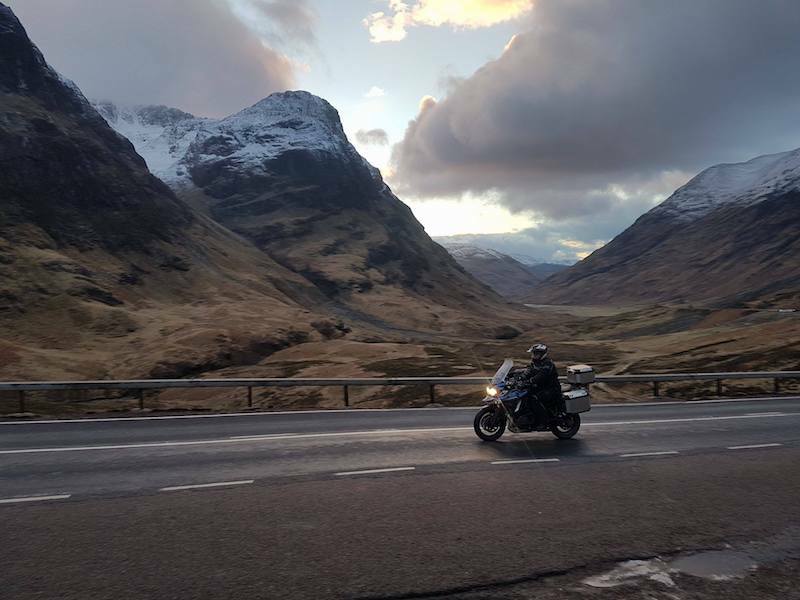 The rugged beauty of the mountains here is just so haunting, and the A82, which takes you right through the valley’s heart, is a dream to ride. From the moment you leave Tyndrum to the second you arrive in Glencoe (the village at the western end of Glen Coe, which is the valley) you’ll be in awe. To make the most of this and to see the mountains in their most beautiful state, I would fully recommend riding this route at the tail end of winter when there’s still some snow on the peaks. I may sound over dramatic here, but the visual impact was enough to choke me up. This mountain road holds a special place in my heart as my nan and grandad, who lived in Tonyrefail, used to take me to the top for ice cream whenever I visited them. Back then, the ice cream was the main attraction for me, and I couldn’t have cared less about the double hairpin as you rise out of the mining village of Treherbert to the south, or the fantastic switchback after you crest the pass. These days, however, they’re all that’s on my mind if I’m ever in the area. It may be a short ride at just under 10 miles, but boy is the Rhigos Road a fun one. Long straights allow you to overtake any dawdlers and four marvellous, wide hairpin bends allow you to test both yourself and your bike. Reach the top and take some time to park up in the layby and admire the vast, expansive view of the mountains of South Wales to the west. There’s usually an ice cream van there for an added bonus. 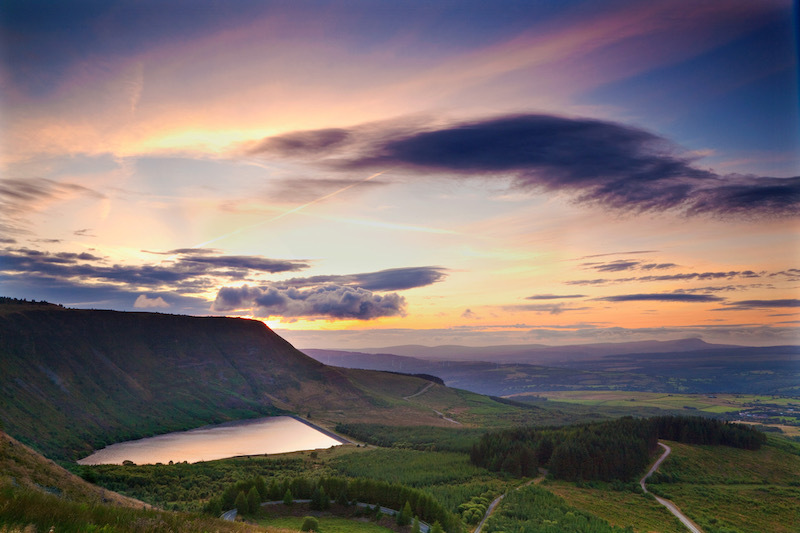 Add this fantastic mountain road onto a ride in the Brecon Beacons, which effectively start at the roundabout near Hirwaun, and you’ll have the perfect end to your day. If you’re after a road in the UK that offers a true feeling of adventure, then the Kielder Forest Drive has to be near the top of your list. 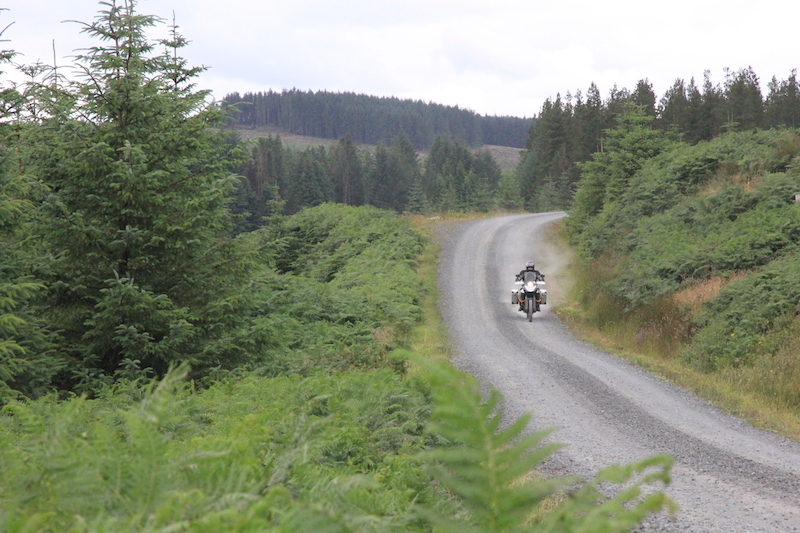 Running 12 miles from Kielder Castle in the west to the A68 in the east, this unsurfaced forestry road is open to the public and it takes you through a remote and wild area with no phone coverage and very few other people around – something of a rarity in the UK. 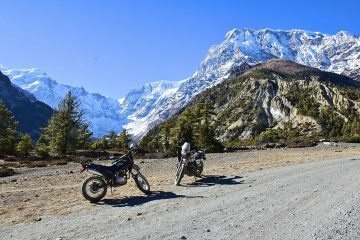 While the road is gravel in its entirety, the riding is as gentle as off-roading gets, as the base is hardpacked and the bends are gentle, though this can change in extreme weather. Dense forest is complimented by wide open vistas which provide stellar views of Northumberland National Park, and when the weather’s good you’ll be able to see for miles. Users of the Kielder Forest Drive are charged £3, which is payable at the Kielder Castle entrance of the route, where an unmanned toll booth sits. Ride this route from west to east, and when you emerge onto the A68 it’s a short ride to the Otterburn Ranges, where even more unspoilt, remote mountain scenery awaits. 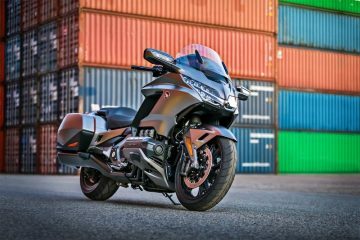 Pirelli offers a range of adventure tyres, and for this route the manufacturer recommends the Pirelli Scorpion Trail II or Scorpion Rally STR. You might think I’m crazy by including this 32-mile long stretch of road instead of the mighty Bealach na Ba, which drops into Applecross. But, call me controversial, I think the ride after Bealach na Ba is the real gem on the peninsula. For 32 miles, you’ll be unlucky to pass another car, such is the remoteness of this area, and the scenery is both dramatic and charming. Huge (in British terms) mountains rise all around you, while the sea slams the shores below. For the most part the road is only a car’s width apart, so this isn’t a ride for the speed freaks, but with each corner revealing a new, epic view you’ll be wanting to slow down to admire it rather than speed up anyway. Upon reaching Torridon, if you think it’s time to call it a day, check out the Torridon Hotel where the 1887 restaurant has a wall filled from floor to ceiling with over 350 bottles of whisky… The perfect way to end the riding day. 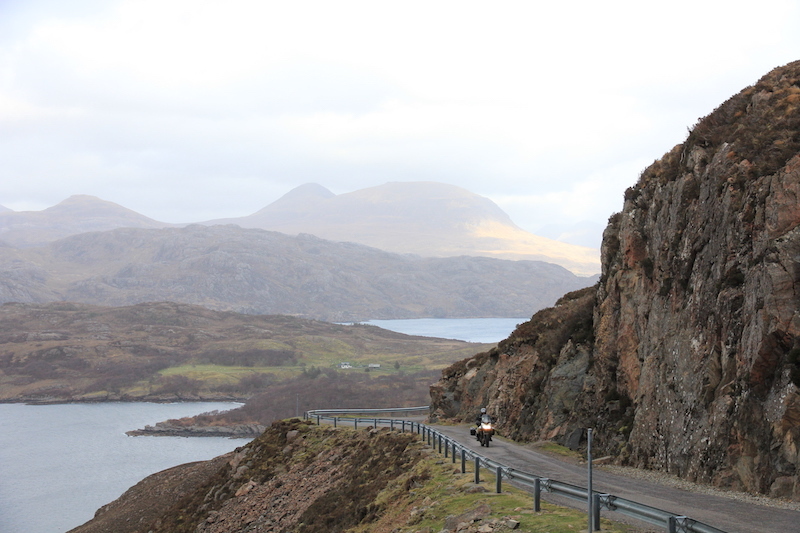 You’d be best to ride this route at the tail-end of summer or winter to avoid potential crowds, and in bad weather the Applecross Peninsula can be a pretty nasty place to be, so it’s best to check the forecast before you go. The Peak District is known as the most accessible national park in the UK due to its central location, and if you were to pit all of the UK’s designated areas against each other in a Hunger Games style fight to the death, with the only weapon being the quality of riding in them, the Peak District would be hanging around at the end. 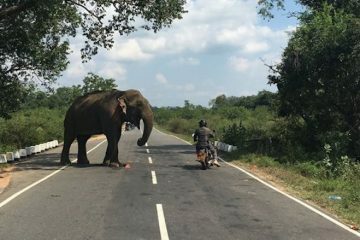 Travel in peak season and the roads are rammed, but choose your time wisely, particularly as we’re heading out of summer, and you’ll soon find out that there are very few ‘bad’ stretches of tarmac here. 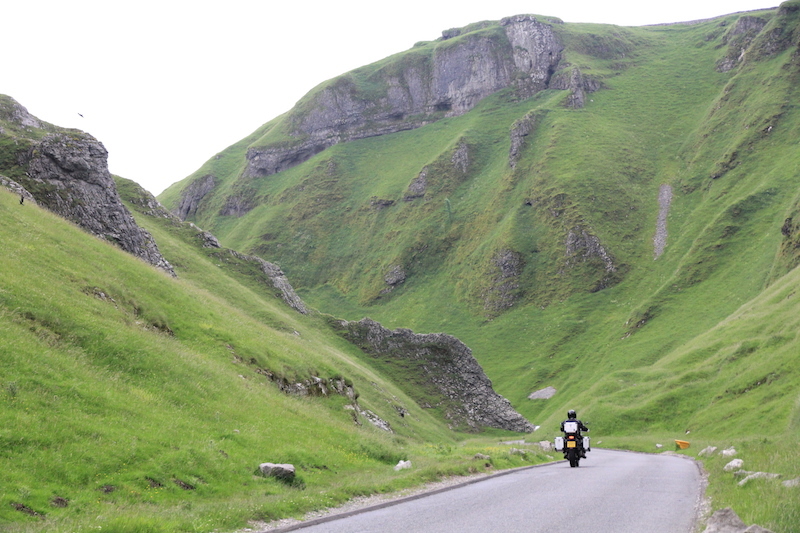 While Snake Pass and the Cat and Fiddle usually steal the limelight for their engaging riding, Winnats Pass is a favourite of mine for entirely different reasons. 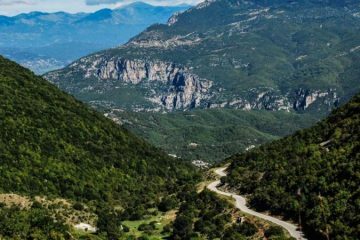 It’s short, at only 4.3 miles long, but this glorious section of tarmac cuts brilliantly through a dramatic valley that’ll leave you flanked by imposing limestone cliff faces. As you ride between the pretty villages of Castleton and Sparrow Pit, entering Winnats Pass is like hopping through a vortex into Tolkien’s Middle Earth, and you’ll want to turn around and ride the road more than just the once. In truth, I could have written about the whole of the North Coast 500 here, but there’s one section that stood out to me more than the others. That’s not to say that the rest of Scotland’s 500-mile coastal route isn’t worth riding, it’s just that this 29.3-mile long section is just so damn good. The north coast of Scotland is more ruggedly handsome than Tom Hardy and the A838 from Durness to Tongue will no doubt leave a lasting impression on you. As you ride along the lonely coastal roads, at times, it can feel like you’re the only living soul around for hundreds of miles. Desolate moorland stretches away inland, and on the odd occasion that you catch up with a car, they’re usually more than happy to pull over and let you pass. Unlike the western Highlands, you won’t be riding in the mountains, but they lurk formidably on the horizon while the bitter North Sea swells against the cliffs and perfect beaches. 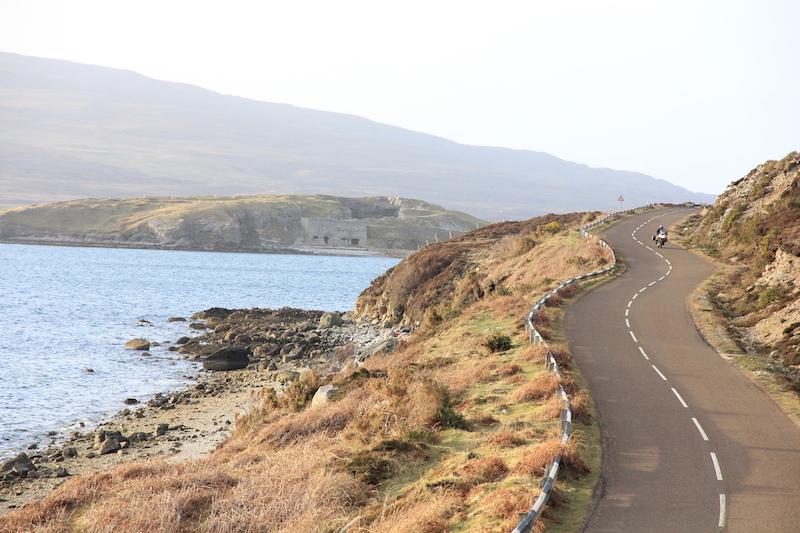 It’s a long journey to get up to the north coast of Scotland, but once there you’ll be glad you made the effort, and I’d rate this road a true 10/10. Whoever coined the term ‘it’s grim up north’ clearly forgot about the Lake District. On its day, the UK’s second largest national park is surely one of the most beautiful places on our island, and throughout history the charming scenery has inspired some of our nation’s greatest poets and writers. Of course, with such a reputation, it’s also the UK’s most visited national park, attracting more than 16 million visitors per year, but choose your time wisely by visiting out of the popular seasons, and the place is a lot less busy. 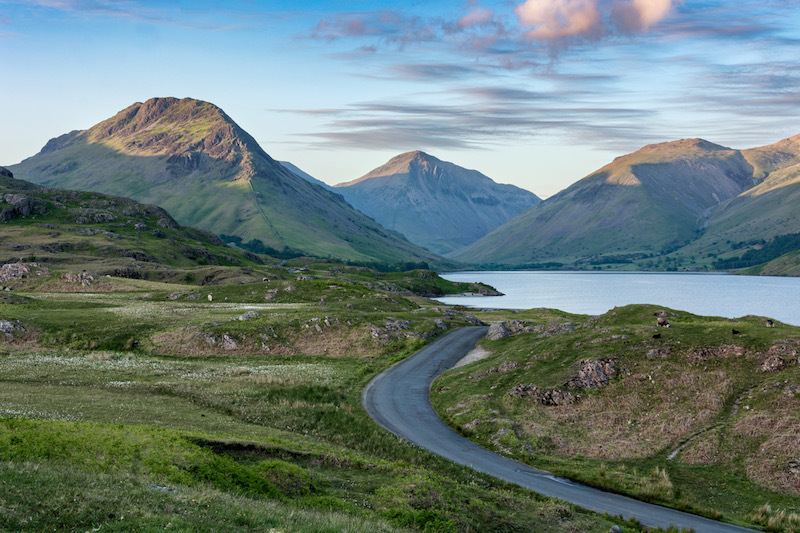 This 7.2 mile road from Santon Bridge to Wasdale Head takes you along the hedonistic shores of Wastwater, the deepest lake in England. 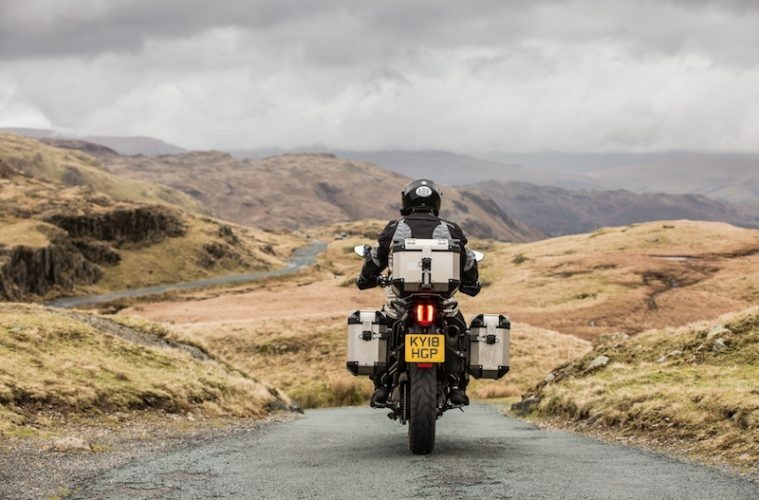 As you ride north-east you become surrounded by imposing cliffs and some of the highest mountains in the country, including Scafell Pike, which is the tallest of them all. The sheer visual delight of this journey is enough to have you turning around and riding it again, which is fortunate as the only way out of it is back the way you came. 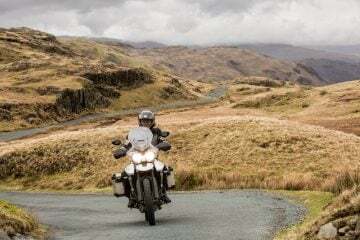 While in the area it would be criminal not to check out one of England’s most famous mountain passes, Hardknott Pass, which is just a few miles away. 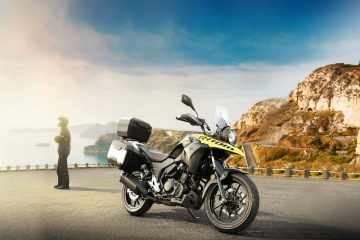 Pirelli has been helping bikers travel to all corners of the world for many years. The global tyre brand is known for its cutting-edge technology, high-end production excellence and passion for innovation. 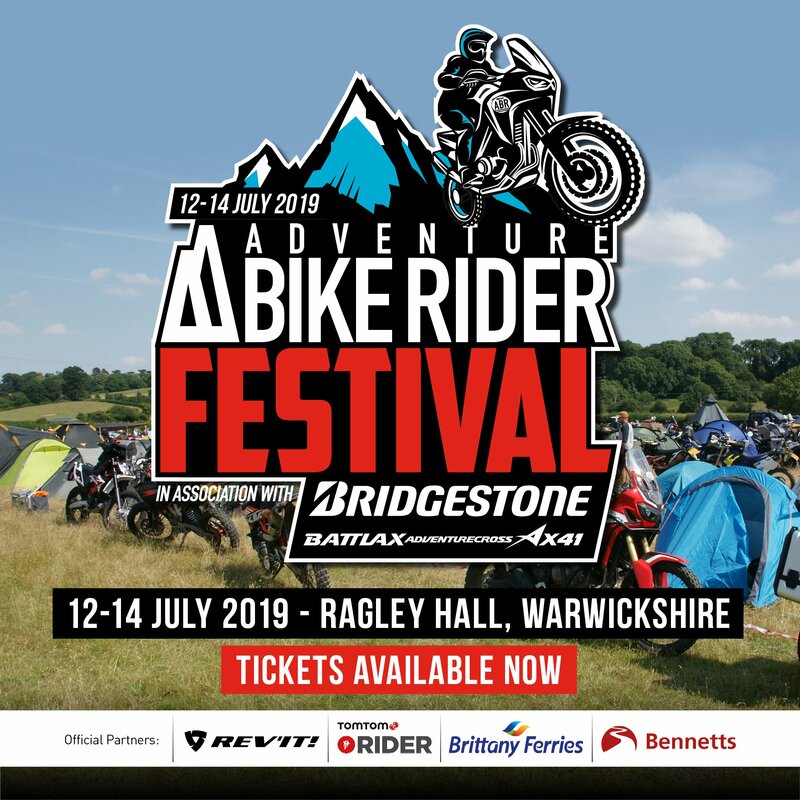 Pirelli offers a variety of tyres for the adventure bike rider, including the versatile Scorpion Trail II and the go-anywhere Scorpion Rally STR. And now also the brand new Pirelli Angel GT II, a high-mileage touring tyre designed to offer wet and dry performance, derived from the Diablo Wet racing tyre.